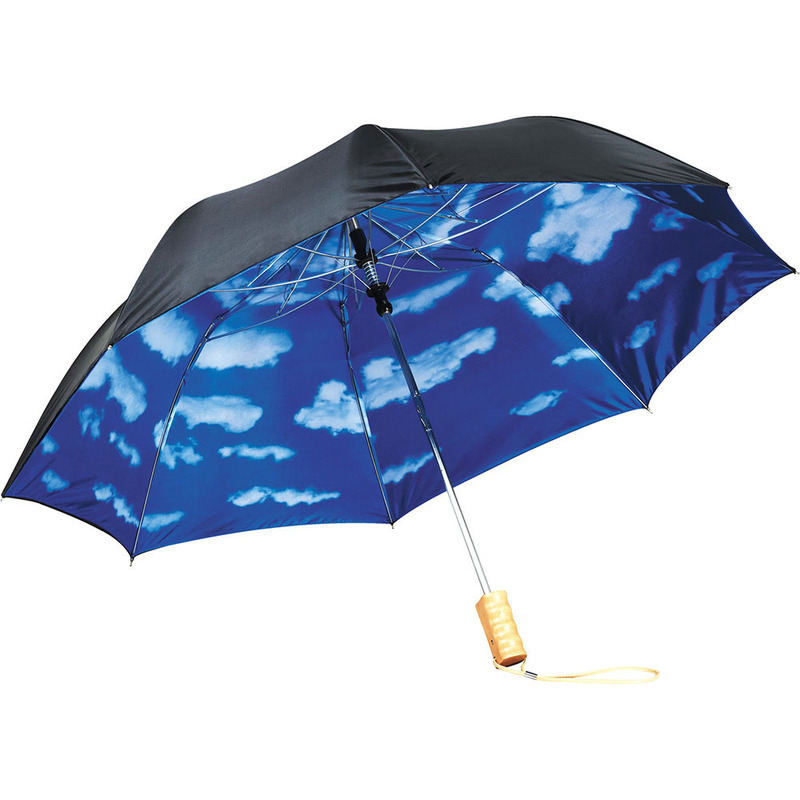 Blue skies are always close by with these uniquely printed canopy umbrellas! With a unique cloud pattern on the interior canopy - you will be able to enjoy blue skies even on the dreariest of days. 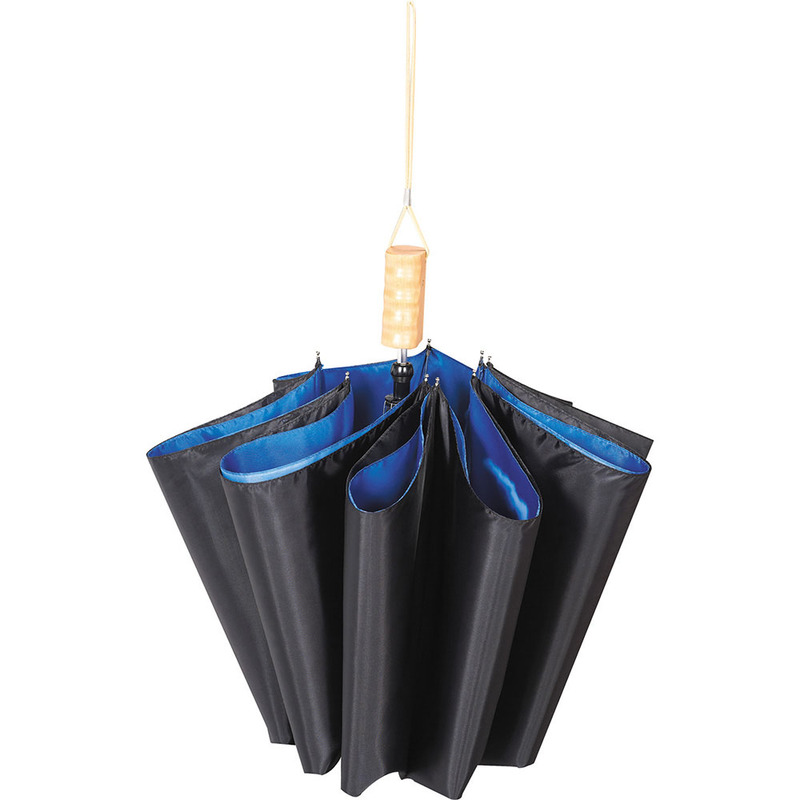 The umbrella features automatic opening functionality and a dual layer canopy with matching polyester case. 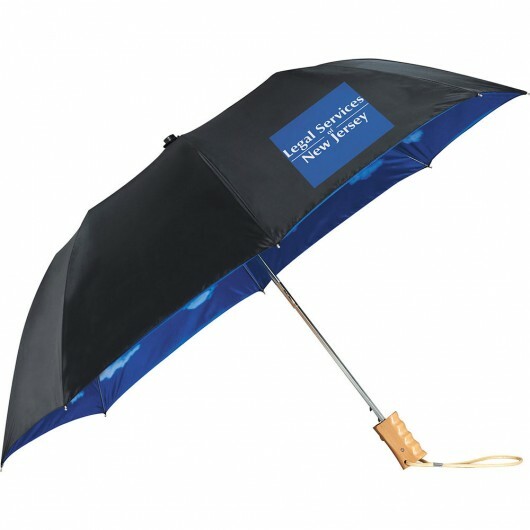 It folds down compact to only 43cm in length and has a wood handle with wrist strap and two-section folding metal shaft. 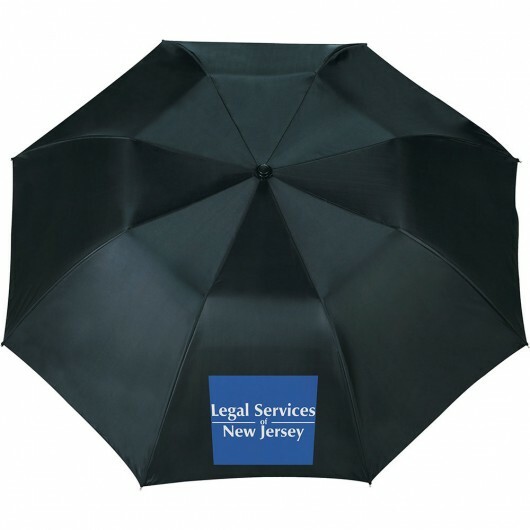 A memorable gift item that's guaranteed to get noticed.